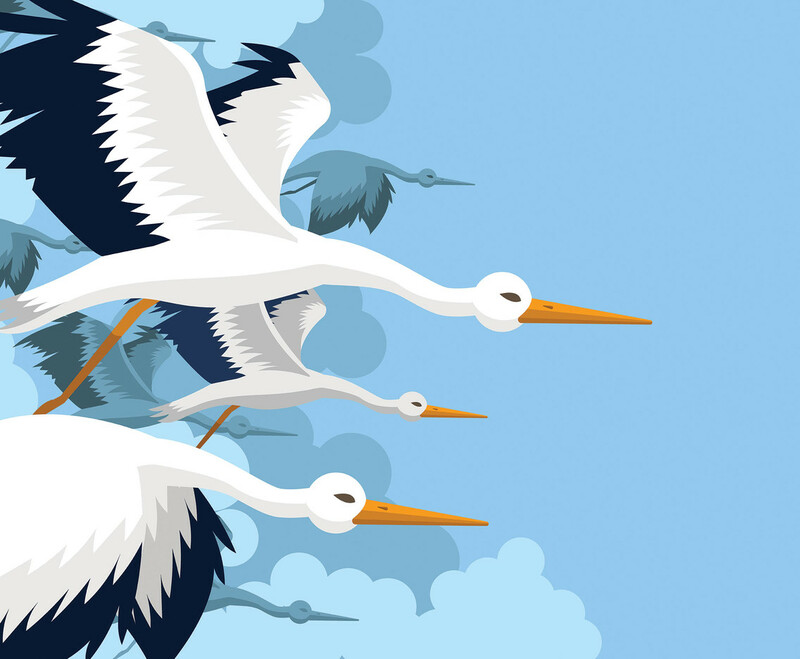 This illustration depicts a muster of storks flying in the blue sky. I hope you can benefit from this. Enjoy!